2011 will be the first year for Walk-In Access in Minnesota. The DNR has put out their initial map index of the properties that are participating in the program. Most of the properties are in the Southwest part of the state. The DNR will be providing the full maps and GPS data files at a later date. 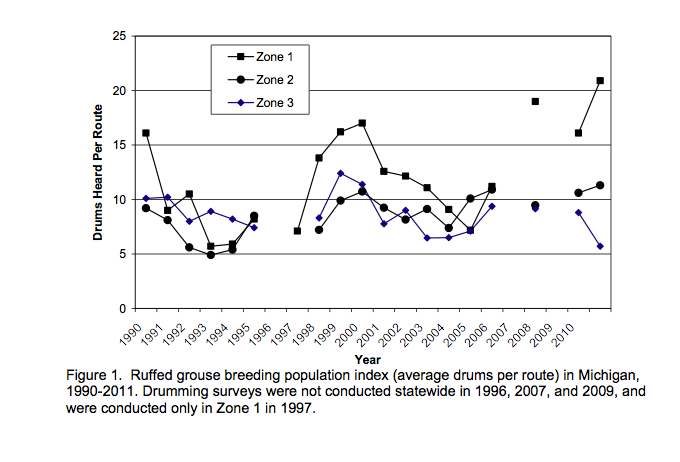 Ruffed grouse drumming counts were conducted statewide along 103 survey routes during April and May 2011 (Figure 1). There was an average of 14.7 drums heard per route statewide. 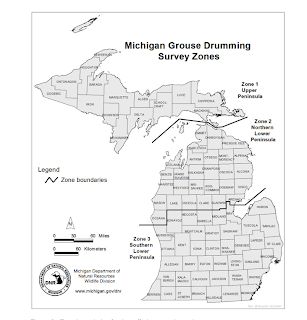 Highest drumming counts were in the Zone 1 (Upper Peninsula; 20.9), followed by Zone 2 (northern Lower Peninsula; 11.3) and Zone 3 (southern Lower Peninsula; 5.7; Fig. 1). 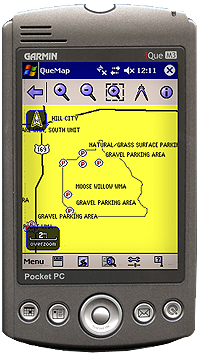 Zone boundaries are shown in Figure 2. In 2010, 106 survey routes were conducted statewide and paired t-tests were performed to statistically compare data from 97 routes run in both 2010 and 2011. Statewide there was a 20% increase (n=97; t=2.3; P=0.02) in the average number of drums heard per route between 2010 (12.5) and 2011 (15.0). 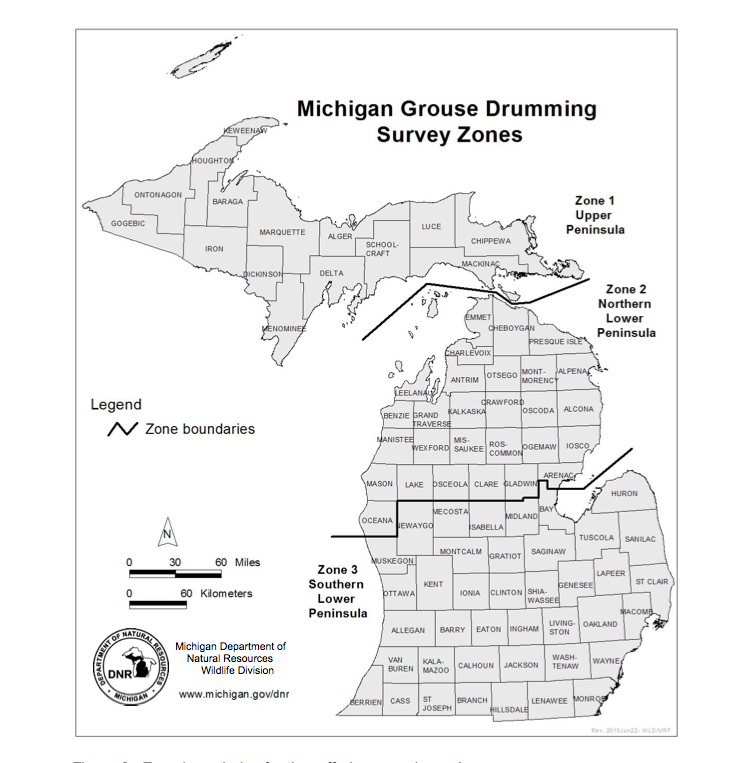 Analysis at the regional scale indicated there was no significant difference (n=47; t=0.6, P=0.55) in the number of drums heard per route in Zone 2 (northern Lower Peninsula) between 2010 (10.8) and 2011 (11.6). However, there was about a 37% increase in the average number of drums heard per route in Zone 1 (Upper Peninsula) between 2010 (15.3) and 2011 (20.9; n=41; t=3.0, P=0.004). In Zone 3, there were 9 routes conducted in both 2010 and 2011. Due to the low sample size, statistical analysis at the Zone 3 regional scale is not appropriate. The spring pheasant survey results can represent two important life stages for pheasant populations in Kansas. Spring surveys can indicate over-winter survival for a population. Often winter can be a bottleneck for some upland game populations. However, in western Kansas winters are often much more mild than more northern latitudes and pheasant survival is usually high throughout much of Kansas. 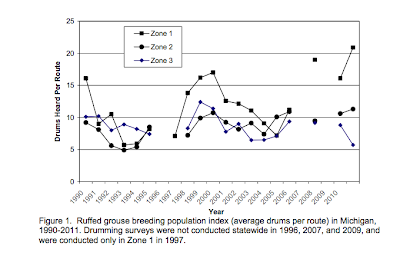 When this is the case, spring surveys can also reflect the previous breeding season success or production for the population. 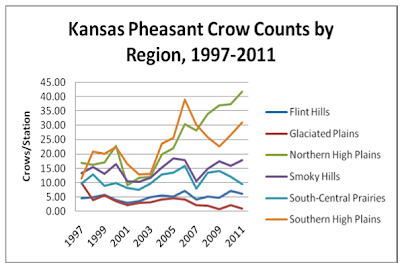 In the 2010 breeding season Kansas experienced high production for much of the pheasant population, which is carried over into the 2011 Pheasant Crow Count because of a fairly mild winter in western Kansas. Other regions in the south-central and north-eastern part of the state showed declines, likely due to extreme weather events (e.g., hail storms) during the nesting and brooding period, or not enough precipitation prior to the 2010 breeding season. North-east Kansas has had some severe winters recently, combined with inclement weather during the breeding season, and the population has declined as a result. Overall, western Kansas has one of the strongest breeding populations of pheasants in its history this year (Figure 3), which is reflected in extremely high crow counts for 2011(Figure 1). However, breeding season climate conditions are not very favorable for 2011 (extreme drought), and the 2011 fall pheasant population may not continue to increase like it has in recent years in western Kansas. Figure 3 shows the interpolated breeding density of pheasants across their habitable range in Kansas. Those areas of high percentage cropland in western Kansas show the highest densities of pheasants. This year many of those same areas are seeing problems with winter wheat growth, which may impact nesting success in those areas. Poor wheat development can lead to early harvesting, which could add to the decline of successful pheasant nests and broods. The drought will also cause a decline in brooding conditions, possibly negatively impacting brood survival. Our late summer brood surveys (July and August) will provide better projections of fall populations. I dropped my English Setter off at the trainer the other day. When we got her three years ago she was a fully finished dog so this training is mostly for fitness. Like most people I live in the ‘burbs and beyond the daily walks there isn’t too much of a chance to get in some bigger off leash workouts and with the high grouse drumming counts this spring I wanted to make sure she was in shape right at the start of the season. In talking with Jerry Kolter, breeder / trainer / trialer, we decided to go with a combination of free running and atv roading. Jerry had Tina the first six years and used her as one of his string when he did guided ruffed grouse hunts so he his familiar with Tina and how she can best be brought into full fitness. On the plus side Tina weighed 4 pounds less than she did last summer and I think is in better shape to start with. Now that the dog is rounding into shape what about the weak link in the team? Yeah, that would be me. I’ve been riding my bike but due to work travel, weird illnesses, wet weather and a lack of motivation I’ve ridden only about one half of what I had in last summer. To make up for it I’ve been trying to eat better ( 2 brats instead of 3, the small basket of onion rings instead of the large.. it’s all relative ). Lift some weights. I was finding my arms were getting tired just from shooting three rounds of trap. I even did my first run in over five years today. This is all a far cry from the days when I was fairly fit and never gave a thought to having to get into shape for the hunting season. One of the things driving the desire to get in better shape is that I have some high school neighbor boys who want to hunt and after seeing them come home from their football two-a-days I know I have to pick it up so they don’t leave me huffing and puffing. So there you go, the dog is working out, I’m working out and now all we need is for the seasons to start, the weather to play nice, and rest will be up to the hunting gods.